When you’re welcoming a new employee to your organization, a welcome letter from the manager can set the tone for the entire relationship. You can make the welcome letter formal or informal. 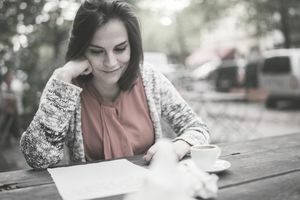 But, a welcome letter will go a long way in making the new employee comfortable upon arrival for the first day of work—and that is one of the clear reasons why a manager would send an employee welcome letter with such detailed information. The welcome letter from the manager tells the new employee about the relationship she will have with the manager. It may mention the manager’s expectations and goals for the new employee. Its goal is to make the employee comfortable starting her new job. This is a difficult goal to accomplish in sending a new employee welcome letter. But, imagine the discomfort of a new employee who has nothing in writing before the first day that describes what he'll experience when he starts at the new job. Your goal in sending the new employee welcome letter is to mitigate any potential confusion or uncertainty. You also don't want a worried new employee to wonder about whether you are actually expecting them to show up. The following letter is warm and encouraging, yet, it states goals and expectations that the manager has for the new employee. It sets up the expectation that employees work hard, make decisions, and are not micromanaged. It ensures the new employee that she will have help and support from coworkers as she starts her new job. The goal is to provide information, without overwhelming her, prior to the start day. This is a sample informal letter from the person’s new manager. Use it as an example when you craft your own welcome letters to send to your new employees. Make sure that you are honest so that what the new employee experiences on starting is congruent with what you tell her in the welcome letter. The selection team was excited to hear that you had accepted our job offer. So, I wanted to share some information about our department and your team prior to your start date. It will be great when you walk into the department on May 21 at 9 a.m. if you know what you are walking into. My management style empowers employees to make the decisions about how they do their jobs within the framework of the department’s objectives. Our goals flow from the executive planning process here at Smith-Thompson. The process receives our input as I sit on the executive team and help develop our overall strategic direction. You can take a look at the department’s current objectives. I have arranged access for you at: (url of objectives on the company’s internal website). Take a look at the objectives and you’ll find where your new job fits into our department’s strategy. If you have questions, just email me. You’re joining a great team of coworkers. Several have been with the company for over twenty years and several have joined the team in the past five years. So, we have a good range of content and product information, historical data, and fresh viewpoints that make working together a rich experience. Everyone on the team works really hard and they don’t countenance slackers. You impressed them in the interviews with your energy, enthusiasm and your track record of working hard and smart. I do manage by walking around and, as you saw on your tour, we believe that decision making is enhanced and speeded up when coworkers work in a relatively open area. You saw your workspace on your tour, so know what to expect when you get here. Everyone is cheering for your success. You won’t lack for help when you start work. In addition to spending time with me, Magdalena has volunteered to be your mentor, a role we take seriously at Smith-Thompson. You met Magdalena during your second interview, I believe. Both Magdalena and I have set up our schedules so that we are in the office for your first few days, but you are welcome to ask anyone about anything in your new company. They’re all committed to welcoming you and helping you integrate successfully into the team. Your initial training will come from Kate whom you also met during both the first and second round of interviews. She is our most experienced person in the role that you are joining us to do. What she knows about our clients and customers is exactly what you’ll need to know to succeed. Our HR staff thought that you might like to read about our benefits and policies before you were buried in the new job. Here’s the link to the table of contents of our employee handbook. (Insert link.) You can read at your leisure and contact Elizabeth in HR or me with any questions or concerns. As you come onboard, I want to emphasize that our deepest commitment is to our customers. At Smith-Thompson, we don’t just say this. We live it. This is why we’ve succeeded as a business and why our employees succeed because the business succeeds. This is our deepest held value. In addition, my deepest commitment is to the people who report to me in our department. Your success, happiness, and continued growth are my responsibility to facilitate. While you are the person most in charge of these employee satisfaction factors, I am here to mentor and coach you, remove barriers to your success, and facilitate your positive integration into your new job and new company. Once again, we’re excited to welcome you to Smith-Thompson. This is going to be another great year for all of us. Thank you for joining the team. How do you think Margaret felt as she showed up at Smith-Thompson for her first day on the new job? You would be right if you answered: Informed, wanted, trusted, and sincerely welcomed.